I thought this was rather fitting - given it is late night and I'm dying for some sleep, so I've decided to picture my new coat sans clothes. Then I realized what it meant (above) and my new jacket is far from uninteresting. 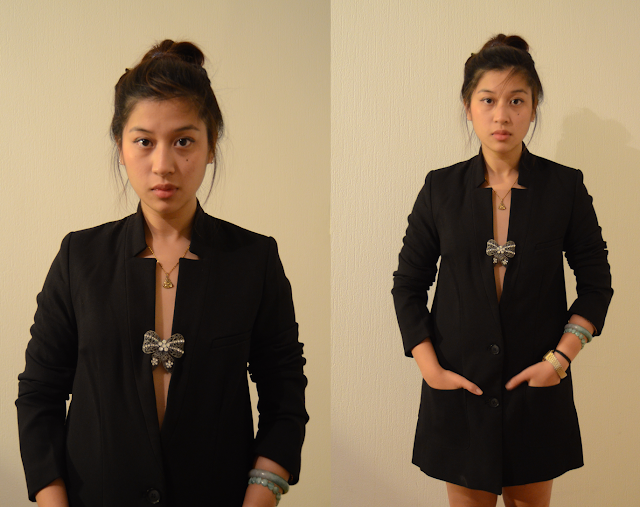 I'm so glad the whole masculine blazer, tailored look will still be a hot trend this Autumn as I'm loving it tons. Next investment: colourful faux fur trimmings! 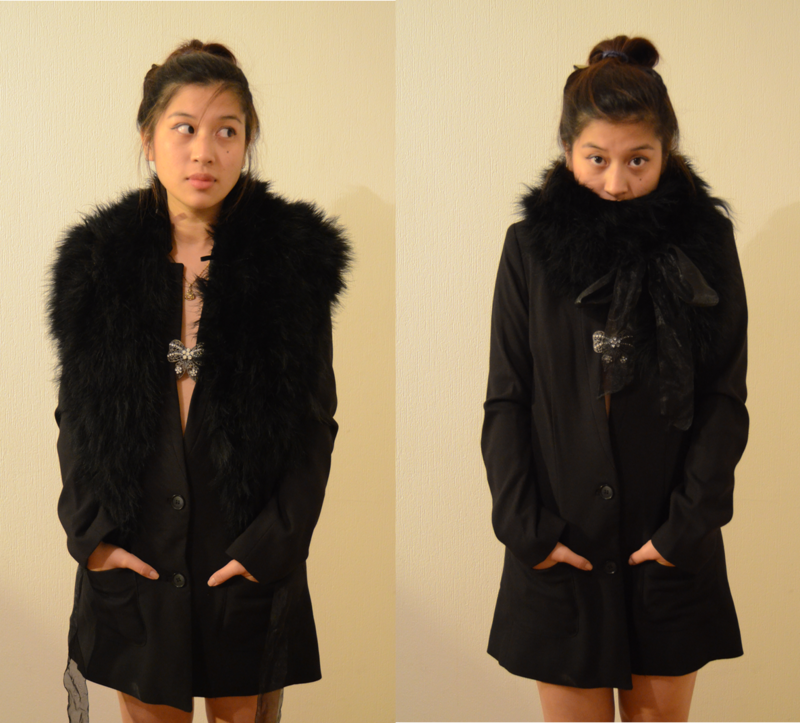 But for now I'll be wearing mine by itself with a brooch, or with my feather collar to fem it up. I am in love with this coat - where is it from? I may have to go out and get one for myself!